Sell more with every listing. Get Vendio Gallery today! 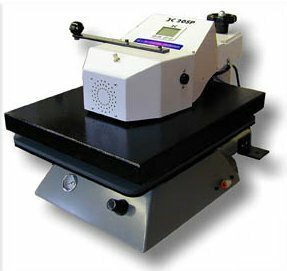 The DK20SP is an air-operated automatic table top swing-away heat transfer press. The DK20SP provides a production oriented heat press with the benefits of push button operation, fully digital temperature & time control, and solid casting design with an affordable automatic heat press price. 16" x 20" heater block size. WE ONLY SELL ONLY THE BEST QUALITY PRODUCTS!!! Spending hours revising items one-by-one? Try Vendio Reviser!